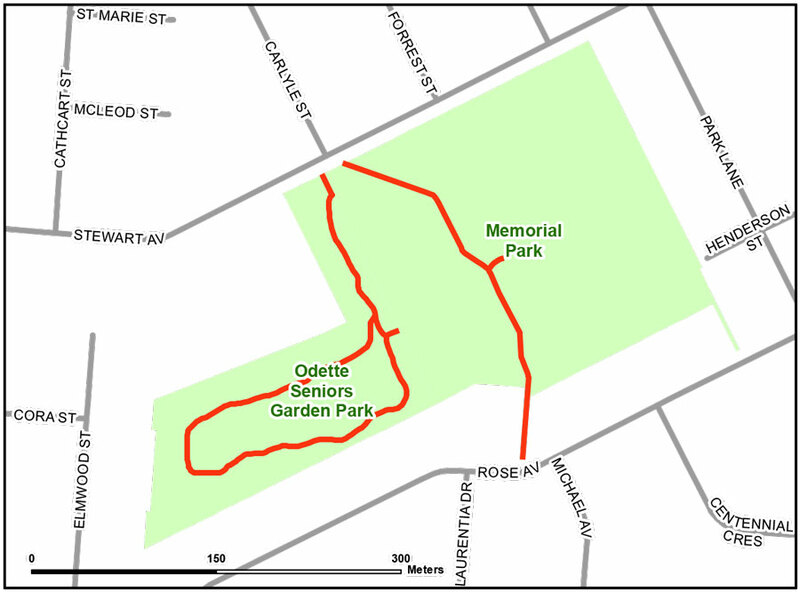 This trail winds around Odette Park and Memorial Park. Along the way, walkers can take in the wonderful garden display in Odette Park. This trail also features outdoor exercise equipment for your use.